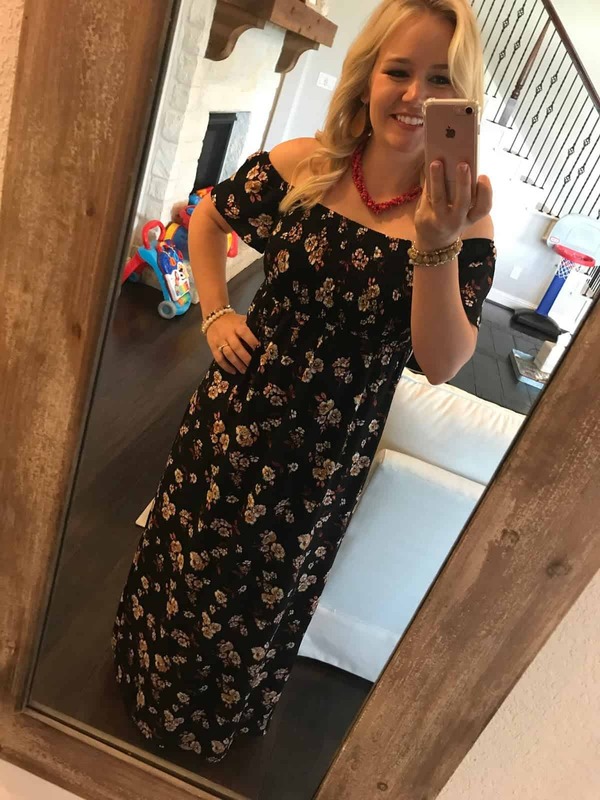 You can’t go wrong with an off-the-shoulder maxi these days. This one is a new fave. My sister-in-law (same one who gave us the date night babysitter ticket) gave me these awesome earrings for Mother’s Day! They’re the lightest, cutest things I’ve ever graced my ears with. I love my necklace most of all because it’s from our honeymoon. I can’t believe we’re coming up on five years already. 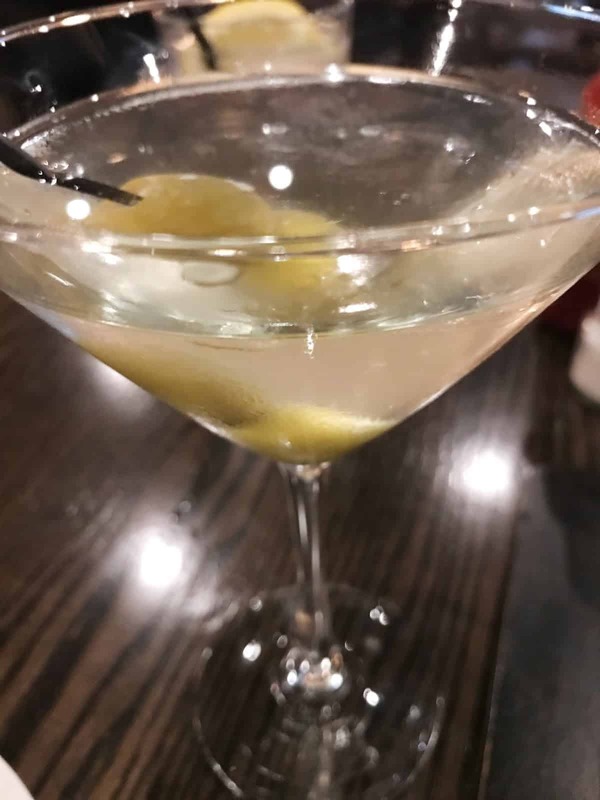 I can’t resist a dirty martini with blue cheese olives. This one was spectacular. The waitress also suggested a fantastic red, but for the life of me, I can’t remember which one. She was spot-on though, so these folks know their stuff! 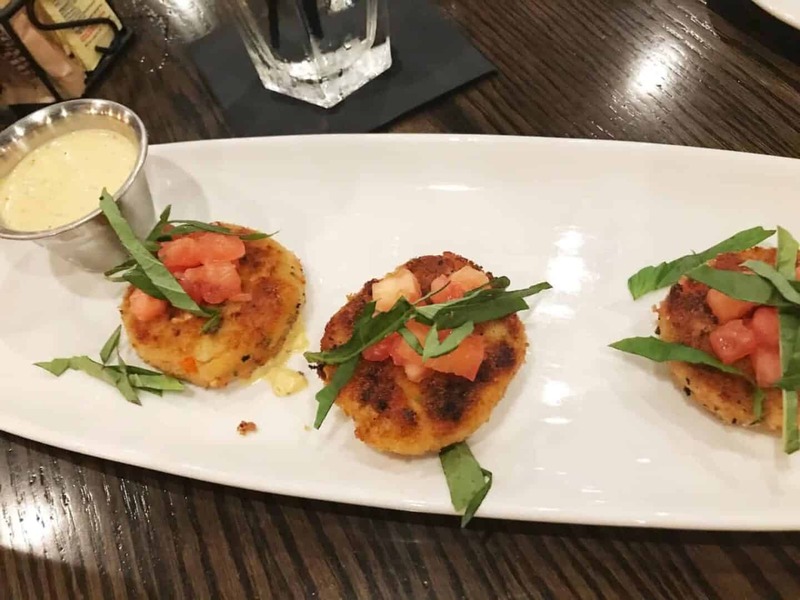 We started with the lobster crab cakes. That’s right. Lobster + crab + a creamy, tangy remoulade. I ain’t mad about it. 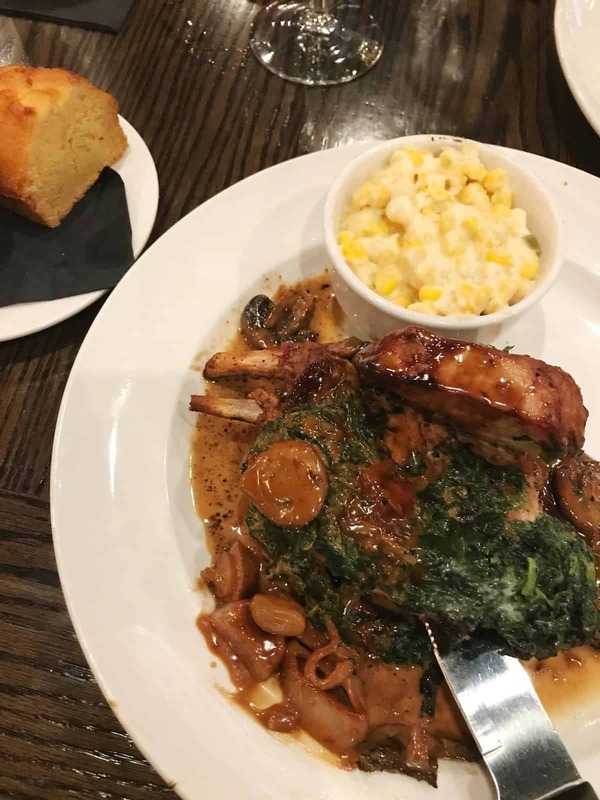 They had a special that night that just had to be on my plate: the stuffed, smothered pork chop. I had it with the creamed corn and homemade corn bread. Yes, I’ll be in the gym for 8 years working it off. Yes, I’d do it again. Tomorrow. 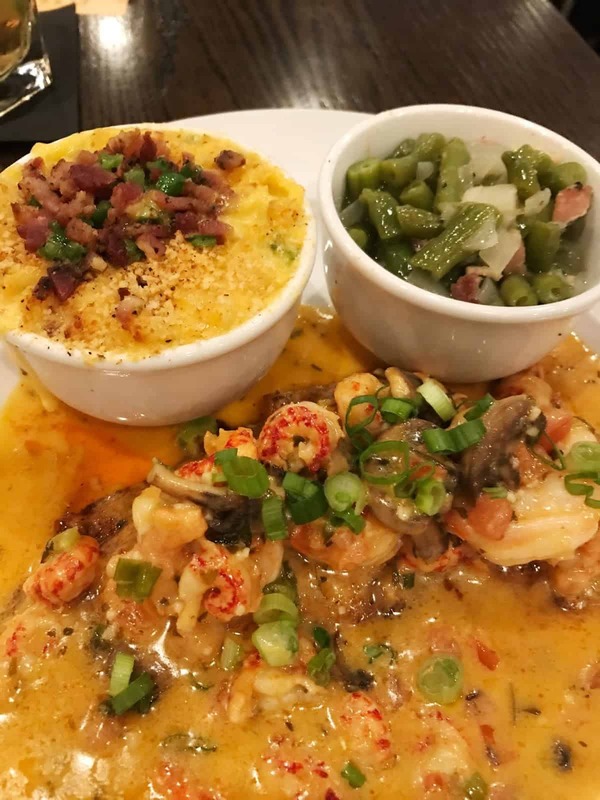 Jon Boy got the smothered red fish (smothered in crawfish, son), plus the southern green beans and smoky mac ‘n’ cheese. Again, the gym, I know. But soooo worth it!